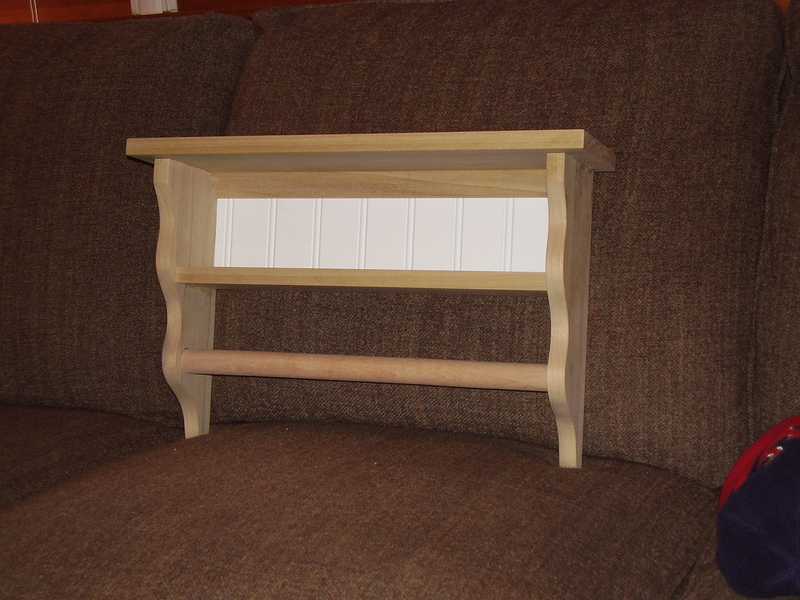 I made this shelf out of Poplar, a 1″ dowel, and some bead board for the back. I basically milled all the parts, and began to cut to final size. The top and sides are attached with biscuits. It was a quick and dirty way to join the boards and get the proper alignment with out too much effort. The most challenging part (which wasn’t really challanging) of the project was cutting the curved side profile. I used a scroll saw and a drum sander to bring it to final dimension. Ok, I just realized the most challenging part was to remember not to drill the hole all the way through the sides for the towel rod. I had forgotten about that…must have tried to block it out. On the up side, I now have a nice set of these that I might use for another shelf. 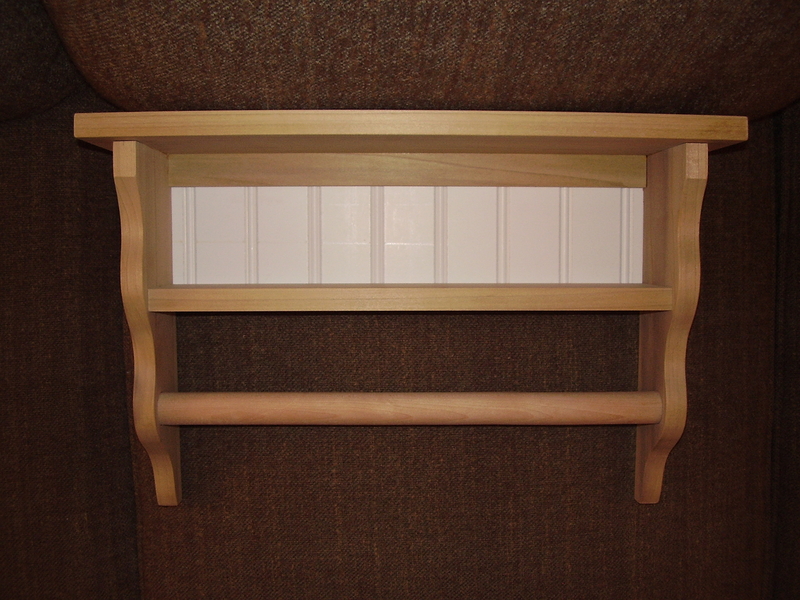 The bead board back (supplied by the client) was recessed into the sides with rabbet that I hand cut with a chisel. I broke all edges with some 220 sandpaper and the client primed and painted to their liking. Details of the construction can be seen in the sketchup drawing. 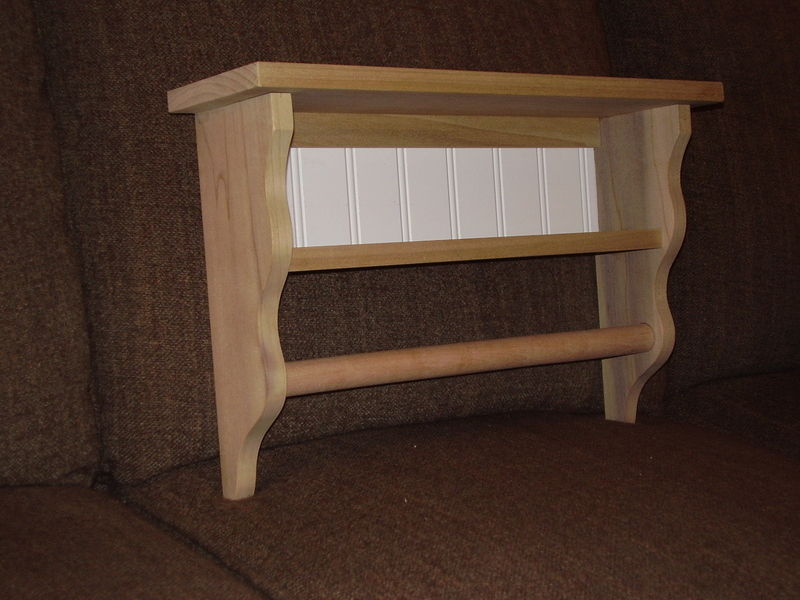 This entry was posted in Shelving, woodworking and tagged biscuits, poplar, sketchup by villagecustomfurniture. Bookmark the permalink.